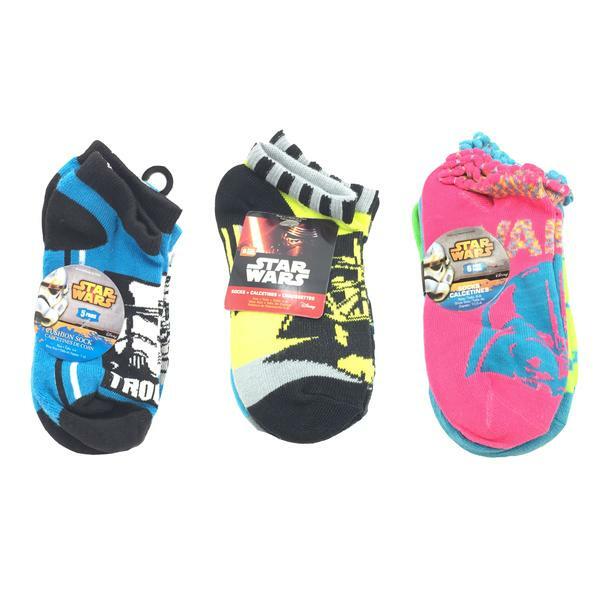 Stay stylish from head to toe with these high-fashion casual socks featuring your favorite characters for Star Wars. To see how many pairs are in each pack see below. Case Size: 21 x 17 x 13 in. Unit Size: 4 x 3 x 1 in.